At St Francis we are constantly looking for ways to improve attitudes, achievement and parental engagement for all children, working to ensure all aspects of school life are fully inclusive. To this end, we are committed to ensuring that all our pupils have access to the highest quality teaching and learning and work with teachers committed to high standards for all and a rich and inspiring curriculum. 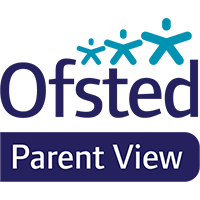 Our class teachers and Senior Leadership Team track the achievement of children who qualify for Pupil premium closely, ensuring they have their needs clearly identified and their progress closely monitored throughout school; in particular monitoring the ‘gap’ in their achievement and that of their peers. In 2018-19 the total amount of Pupil Premium Funding allocated to St Francis is £43,560. Support teachers in developing a full range of teaching strategies and approaches. Extend the support for children’s learning by tailoring interventions according to need and ensure they are delivered by highly trained staff including speech and language, 1st Class number, reading groups and Nurturing Talk. Subsidise school trips and other extra-curricular activities and opportunities that boost learning. Offer PE sessions including Wake and Shake, Change 4 Life and Sensory Circuits. Supply ICT resources including 1:1 Maths tuition, Spelladrome, My Maths, Timestable Rockstars and Lexia. Participate in the Prince William Award for building resilience and co-operation. "I like this school because the teachers are very nice and the children are very welcoming."